Dutch players are adamant when it comes to video slots. Like many other countries, the Netherlands also has its very own land based casinos. However, these casinos do not have access to the finest video slots available. That’s why a large portion of Dutch casino players opts for playing online. And they should! Usually online casinos offer more than 600 slot games, and any player can access them easily, via desktop or mobile devices! In the past, when we’ve compiled list such as this, quite often there’s a trend. However, the most popular video slots in the Netherlands are diverse, meaning they do not have anything in common. We should also point out that the online gaming community in the Netherlands is on the rise. It is one of the fastest growing online gaming markets. This is why the Dutch market is considered as one of the most important ones. It clearly identifies what features, what layouts are pointing in the right direction. Let’s not get carried away with general information and get back on point! Here are the most popular video slots in the Netherlands! Silver Lion, a video slot produced by Lightning Box which ranks rather high among Dutch slot players. It features a big 5x4 grid layout and staggering 1024 ways to win. It seems like slot players from the Netherlands are willing to pay the extra bet amount for a hefty hit rate. So what makes the hit rate so high in Silver Lion slot? The Wild Symbol, the Scatter Symbol and the Bonus Symbol are the usual suspects, meaning in most cases the wins will be results of their presence. The deeper we go in the paytable, the more lucrative Silver Lion becomes! Players can win up to 20 Free Games with a potential multiplier up to 27x! Now that’s a lot, regardless of your standards. From an appearance standpoint, Silver Lion is at the very least decent. It’s not overwhelming, but it’s better than the average video slot. However, we really love the sound quality. With a bit of extra work, Silver Lion can rank higher than it currently is. Nevertheless, it’s a one heck of a rewarding video slot, no wonder the Dutch enjoy playing it! There’s something about 5x4 slots and Dutch slot players. Here we see Merlin’s Millions featuring the Superbet. Raise the stakes and raise the prizes. By paying an extra bet amount, players can guarantee up to a 10x multiplier whenever the Wild Symbol is part of a winning line. Thanks to the most popular wizard, Merlin, a simple, low paying symbol 5 of a kind can turn into a big prize. However, we recommend being careful with the Superbet. It’s not child’s play! At the time of its release, the video engines were not as good as they’re now. That’s why you might find the graphics as poor, with minor screen freezes which become rather annoying. Then again, this is a 2012 release and we have to cut it some slack. In all honesty, we can’t put a finger on its best features. Maybe it’s the name that looks attractive, maybe the tall looking symbol grid. Nevertheless the 50 paylines keep players on their toes. Out of all most popular video slots in the Netherlands listed here, this is in our opinion the one we can call of the lowest quality. Here’s a jewel we all know and love! To some extent, it was expected to see a video slot produced by non-other but the Swedish based Net Entertainment. It looks good, sounds good, but most importantly, it stands out with its one of a kind feature. If you’re not familiar with it already, you’ll love the Twin Reels feature! Dutch slot players are obviously well aware of its existence, otherwise it wouldn’t be the 3rd most popular video slot in the Netherlands. Despite it being a 243 ways, players do not have issues with high volatility, thanks to the remarkably distinctive feature. On top of this, there’s a Wild symbol as a fall back hit rate booster. 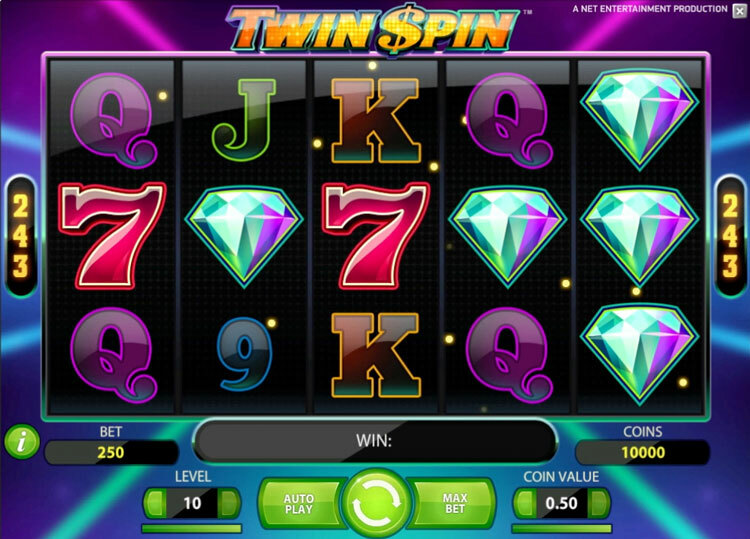 Twin Spin by NetEnt is the perfect mix of traditional, classic slot appearance and advanced, modern mechanics. If you enter a losing spree, just wait for it. All it takes is one big win to get back on track. After all, this is a 243 ways slot. If you find Twin Spin slot alluring, make sure you check out Joker Pro slot as well. Not long ago, it had its worldwide launch. Prior to this global release, Joker Pro was exclusively available in a small number of online casinos. From Sweden, we go all the way down under, to Australia. It’s the location of NextGen, one of Nyx Interactive’s subsidiaries. Foxin’ Wins is the product that’s of our interest and as it turns out, the interest of Dutch slot players as well. The jolly Fox and the cute looking Fox Pups are a reason to be happy about! What’s not to like about rewarding little wild animals? Dutch players have been all over Foxin’ Wins from the get go. Besides being a rewarding video slot with a jackpot in the base game of 2000x the bet amount, Foxin’ Wins comes with a number of special bonus features. They’re eye-catching and on occasions, they can bring considerable prizes. Triggering the Superbet means more frequent Fox Pups showing up on reel 1 through 5! Moreover, Leprechauns are known to be good gold keepers. Catch them by those tiny little legs and shake ‘em down! Slot players from the Netherlands have been doing it for quite some time! A word of advice, with the 10 credit Super Bet the RTP goes up to 95.330%, whereas with 25 Credits extra, the RTP reaches 95.618%. The benefits outweigh the costs in the long run. 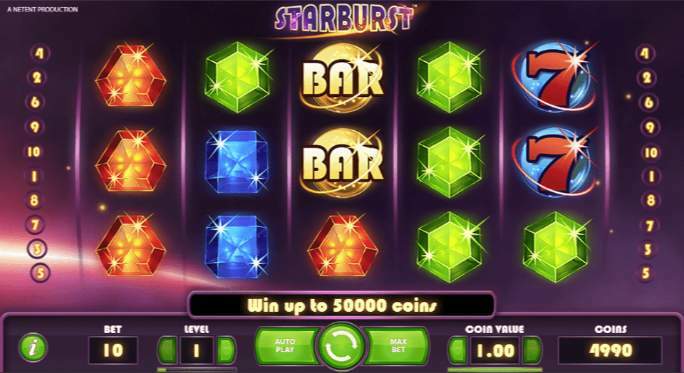 What NetEnt has achieved with Starburst, no other online casino game producer will ever accomplish, at least not in the foreseeable future. There’s something about this shiny, dazzling, mesmerizing jewels that keeps players from all countries, including the Netherlands, coming back for more! This both ways pay slot, although simple looking, has much to offer both in terms of entertainment and rewards. It has only 10 paylines, but since you can form a winning line from left to right and from right to left, in fact the game has 20 paylines, which then means you have way more chances of winning. Starburst is the most popular slot in Sweden, the Netherlands, Finland and a few other markets. The reason behind this is its simple, yet rather interesting and rewarding slots features. Starburst is at the forefront of Free Spins and promotions. Make sure you check out our Free Spins database and see if you can find some fresh Starburst Free Spins.